A unique, invigorating body workout that takes care of your muscles, joints & circulation, while creating a space for mindfulness and a relaxed mind. What is YogaThaiMassage? YogaThaiMassage is the combination of Yoga and Traditional Thai Massage, which has long-term therapeutic effects on the client. It is a customised program, tailor-made according to the individual’s needs. YogaThaiMassage is a unique combination of exercise and therapy, with rhythmic Yoga movements, designed to warm up and activate the meridiens of the energy body, muscles, joints, blood circulation, and the lymphatic system. This program allows for correct breathing techniques, deep relaxation, encouraging both mind and body awareness. Why YogaThaiMassage? Because, the energising, rejuvenating and warming effect of Yang Yoga and combination with soft but deep pressures of Traditional Thai Massage , is magical. This is a powerful holistic system that helps reducing the blood pressure, stress and soothes the body. It creates a meditative state and helps overall well being. These two timeless practices are used in combination, in order to open tight joints, lengthen muscles, and gain relief from pain. This system is effective in reducing neck, back pain and headaches. YogaThaiMassage increases blood circulation, opening and balancing energy blockages and rejuvenating lymphatic system. It also brings positive effects on connective tissues. This program is a beneficial invigorating body workout for athletes, as it eliminates toxins and lactic acid from the muscles. When? YogaThaiMassage can be performed anytime during the day, but a 2 hour waiting period is recommended after eating. Sessions take around 90 minutes. Who can do it? YogaThaiMassage is suitable for all age groups and body types. It is a customised, one-on-one program which is exclusively ‘hands on’ . Where? YogaThaiMassage is performed with comfortable clothes, both for giver and the client, on a mat. It includes standing, sitting and lying poses. How? After a short meditation and an opening mantra used to focus intent, a flow of sitting and standing Yoga poses are performed with breath awareness. Using Yoga, in order to warm-up and energise the body prepare the breath and the body for the following massage. Thai Massage helps stretch muscles, with the use of appropriate pressure, which is applied with the palms, fingers, elbows, knees and feet on acupuncture points and ‘SEN’ Lines. This combination activates entire body and the flow of energy. Please click here for my article about Thai Massage for more information on benefits. About… Divya Beste Dolanay, has been a yoga teacher since 2003 and is certified from Vivekananda Yoga Theraphy University, Bangalore-India. She designed the YogaThaiMassage program to complement her private Yoga lessons with Traditional Thai massage, as she is also certified from International Thai Massage School (ITM), Chiang Mai-Thailand. She also incorporates Reiki techniques if needed -certified on Reiki Levels I and II- in her program. 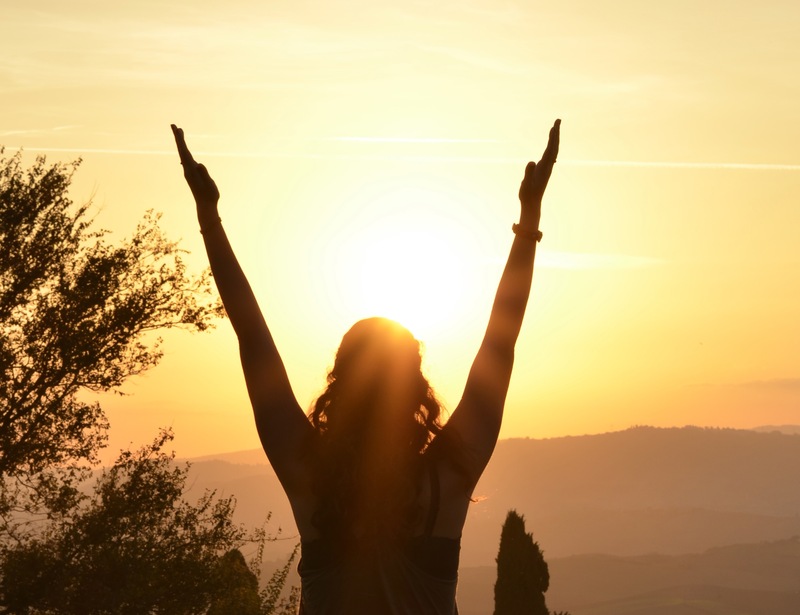 She believes that, unique blend of these ancient and holistic systems bring out their invaluable qualities and create powerful therapeutic effects on an individual’s body, mind and soul, with the aid of a personalised, hands-on technique. 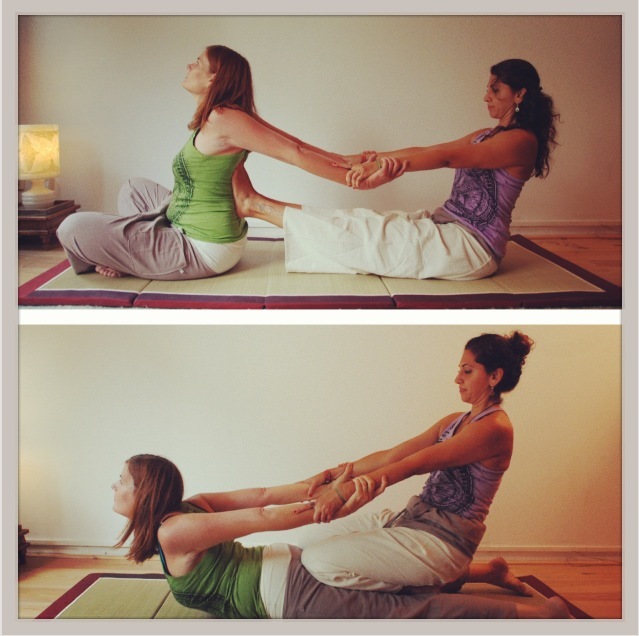 Divya Beste Dolanay offers private YogaThaiMassage sessions in Amsterdam, Holland where she currently resides.